Three men being forced to blog. Have I wasted three years of my life? Personally, I was optimistic in our ability to get job after university. However, this article has shot down my optimism. The article does Britain have too many graduates? Written by Kate Purcell and Peter Elias, provided evidence to suggest the my degree is going to be less useful than I expected; there research reveals that there is “substantial under-utilisation of skills that, along with the reported unemployment, reflect a shortfall in demand for such skills”. They offer a suggestion that this could be caused by student “unwisely” choosing degrees that develop “the wrong kind” of knowledge and skill. I would like to argue that my degree of choice will leave me In a good position for employment after university but we shall see. Food For Thought: I feel that from my degree I have gathered more than just eye opening perspectives of the world and a strong sociological imagination. I feel that degree has provided me with a thirst to answer questions surrounding our society also it has provided me with the skills to answer them with confidence. What are the main skills and knowledge that your academic career has provided you with? 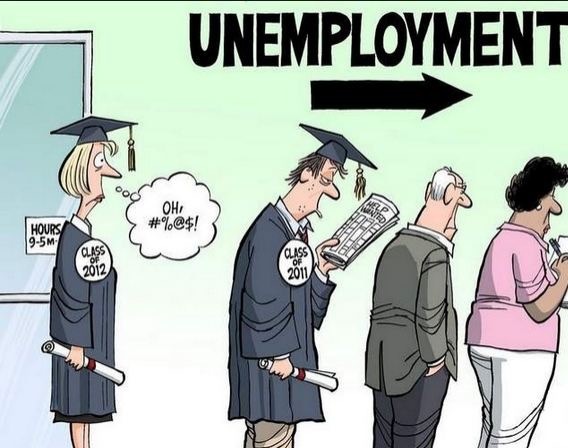 Too Many Graduates? Lets stop Arting Around. University teaches you many relatable skills, both academic and non-academic. In terms of non-academic skills, students learn how to live on budget and learn to deal with stress related issues. In terms of academic skills, students learn important skills which may become relatable in future jobs, however that does depend on the job they are able to obtain. Iain on My policy on politics. Youth Is Stranger Th… on My policy on politics. ben patterson on My policy on politics.